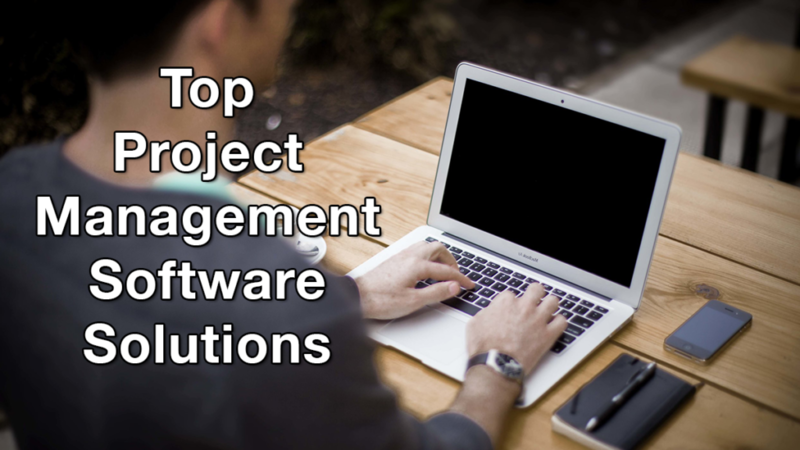 This article has been updated to showcase 20 best project management software programs of 2019 and reflect the most current tools and solutions catered for small businesses. What is the best project management software for small business? The best project management software for small business is Wrike with its powerful features and functionalities. It is a highly-scalable system that suits growing small businesses and can manage numerous projects and teams from a singular platform. The solution is also able to break down tasks into smaller units, allowing users to track project and task progress. Research by Gallup News found out that only 2.5 percent of businesses see their projects successfully completed. Will yours fall into the wrong side of the statistics? There are many reasons why a vast majority of business projects go south. If you’re a project manager, you may have experienced complications from unclear objectives, miscommunication and unrealistic project deadlines. Such problems can result in uncompleted tasks, late project deliveries, uninformed colleagues, and profit decline, which most of the time, lead to project delays or worse, cancellations. To make matters worse, you may not know how much bad project management is costing your business. The good news is you can use project management platforms to resolve these issues, tools that carry with them features like task management, collaboration support, and project tracking. You’ll be surprised how advanced small business project management systems are today with features that, before, are only available in enterprise solutions. To help you find out these sophisticated tools without busting your time, we have compiled a list of the 20 best project management software for small business. After this reading, you should be able to know what to look for in such solutions and choose the right platform for your business. We continue to see how project management software evolves in a way that greatly impacts goals, processes and metrics, such as, the integration of artificial intelligence, new project management methodologies, Kanban boards, and analytics. But PM software is no magic pill. Encounters with failed implementation are quite common, resulting in lost investment. The reasons for project implementation failures lie in a number of errors that companies themselves commit. These include lack of sponsorship or leadership, the absence of an incentive program, inadequate communication, refusal to consult and lack of a proper business process meaning. Avoiding these mistakes will help ensure successful implementation of such a system, even for small businesses. By now, you may be itching to get your hands on your very own project management system. But you’ll find that shopping for the right tool isn’t as easy as it seems. There are tons of project management software out in the market, with each one having its own strengths and witnesses, for instance, which project management methodologies it adapts. The following are the 20 best project management software for small business as determined by our experts. Wrike, a robust end-to-end project management solution that provides practical collaboration, leads our top 20 project management software for small business list because of its excellent features and capabilities. The system is built to scale for your growing business and it drives results by being flexible on managing multiple teams and projects in a single tool. Apart from letting you see the bigger picture, Wrike features let you break down large goals into manageable units such as folders, tasks, and subtasks. This easily tracks individual contribution and project progress. Request forms and automation, live editing, and file management organize the project for easier completion. You can sign up for a Wrike free trial here to use its full features at no cost. Its core features also include Gantt Chart, resource management, built-in templates, time and budget tracking, email and calendar synchronization, live activity stream, proofing and approval, and personal dashboard, among others. Its excellent set of tools makes it a good investment. The system is available for different sizes of teams. It even has freemium plans with basic features while higher-tiered subscriptions (starting at $9.80 per user per month) are packed with more advanced functions and capabilities. Monday.com targets companies of all sizes including SMBs. This PM software streamlines the way teams work by managing workloads and improving communication. It helps in managing schedules and plans ahead using a visual timeline so members can view it easily in a single glance. Monday.com pricing options cater to growing businesses starting from 5 users. The scalable system lets you start from collaboration features (starts at $25 per month) to work your way up to more complex capabilities such as utilizing API and integrations. There’s no need to worry when your team grows as it can update to over 200 users. To help you get a closer look at its features, you can sign up for a Monday.com free trial here. Cloud-based ProjectManager is a robust system that combines collaboration with project scheduling and planning tools. Its core functionalities include project creation, task scheduling, resource allocation, and progress monitoring, to name a few. It has a drag-and-drag functionality that allows you to adjust your schedules with ease while collaborating with your team using file attachments and comments. If you want to assess the solution firsthand, you can easily sign up for a free ProjectManager trial here. But what sets the project apart from other tools is its ability to make comparisons between projects’ actual and planned progress. This allows you to see how your projects are progressing or otherwise and make the needed adjustments. Zoho Projects is an online project management service for planning, tracking, and collaborating on projects. It’s a feature-rich platform with a wide array of integrations. The recently updated Zoho Projects interface is intuitive so users can quickly learn its basics. It organizes complex projects into manageable units for efficiency. It has charts and reports to provide you with in-depth insights on the task’s progress in accordance with the set due date and monitor resources based on who is available, engaged, or overloaded. Collaboration, time-tracking, and issue-spotting are among its key features as well. Should you want to investigate the platform firsthand, you can easily do so when you can sign up for the Zoho Projects free trial here. All of its subscription plans have unlimited users with costs varying based on the number of active projects. They even have a completely free plan for 1 project with 10mb of storage. Meanwhile, paid plans start at $20 per month for 20 projects up to $100 per month for unlimited projects. Another project management tool worth looking into is Backlog, a feature-rich solution that is built specifically for app development teams. This cloud-deployed system is a complete project management solution, helping boost communication, collaboration and coordination between non-technical project team members and developers. Backlog key features include project tracking, task management and issue monitoring. The software makes it easy for you to track bugs and other issues with ease, with the system automatically generating reports directing team members who can resolve the issues. Should you want to investigate the platform firsthand, you can easily do so when you can sign up for the Backlog free trial here. Using Backlog, you can streamline your workflows as the platform allows for the creation of task hierarchies. Aside from further breaking projects into tasks, subtasks can be created, which can be divided among team members. It likewise tracks progress, milestones, due dates and categories by creating checklists. In case you encounter issues, you can immediately report them using email or web forms, allowing for quick problem resolution. But what is remarkable is the vendor’s provision of added security by enabling you to manage a variety of access levels using user role as basis. Simplifies team collaboration using milestone mapping tools. Need to make app accessibility much easier. A fully integrated collaboration and project management platform, ActiveCollab is is a powerful tool that provides time tracking, billing and task management features. Its organizational and planning tools give you the ability to effectively automate and streamline all project-relevant processes. It helps you improve the organization of your files, projects and tasks so that your entire team remains on the same page. Team communication also gets a boost so that all parties are always in the know. If you want to check its comprehensive feature set you can easily sign up for ActiveCollab free trial here. Here are more ActiveCollab details. You can keep track of time spent on your projects, allowing you to measure team productivity. Using the system, you can create beautiful and accurate invoices, and track payment status and send reminders. The platform is web-based, relieving you of all maintenance and administrative worries. The vendor also gives you total control over your data, which are kept safe and secure at all times. Essentially a task management software, Quire is a popular tool among project teams. It comes with an impressive feature set that helps users take on complex tasks by breaking them down into smaller yet more manageable ones. It has a well-designed interface that is not only easy to navigate but houses all the tools you need to effectively manage your projects. Instead of grouping tasks as most teams do, the system works by accommodating staff ideas and turning them into actionable concepts. You can create as many tasks and subtasks as you need as the system can be scaled as your requirements grow. If you want to know more about the features you can easily sign up for a Quire free trial here. But the best attribute is the fact that there’s a free Quire version. All you have to do is download the app and you’re good to go. It supports all devices running on Android and iOS and has a Chrome extension for those who want to access it through the browser. It is very easy to use, requiring no steep learning curve so that you can immediately enjoy its benefits upon setup completion. ConnectWise Manage is tailored for technology solution companies such as cloud service providers, software developers, professional services, IT service companies, telecom, and security. Project teams that belong in this industry benefit from its targeted solutions, especially when it comes to coordination and collaboration. Using its full features at no cost is possible when you sign up for a Connectwise Trial free trial here. It centralizes documentation for everyone to get full visibility on various aspects that empower strategic decision making. Managing project resources and budgets, reporting individual tasks, and tracking progress towards deadlines are only some examples of its functions.  As for ConnectWise Manage pricing, it is by-quote only to tailor the features to your requirements. ProntoForms is essentially a forms automation tool that offers project management features on the side. It is designed to provide your staff with access to corporate data while in the field by automating mobile workflows, making it ideal for project team members who are always on the go. Results can be shared with external parties, cloud services and back-office platforms. It accelerates your processes without the need for huge investment. The app improves productivity by boosting your field operations’ efficiency by automating information gathering, delivery and data access. Its ability to seamlessly link information across systems enhances critical business activity automation while monitoring and benchmarking field operations’ efficacy. A collaboration module, meanwhile, aids project team members in sharing and exchanging data as they are constantly connected. These are just some of the ProntoForm benefits. You can try all its premium features at no cost when you sign up for a ProntoForm free trial here. Scoro is a comprehensive tool for managing and planning your team’s projects. Its intuitive interface lets you and your team see the progress of your projects and how well they are doing. The data gathered helps you determine the next steps you must take. It has a centralized page where you can manage files and comments, expenses and invoices, scheduled meetings and tasks, and time spent and billed. Should you want to investigate the platform firsthand, you can easily do so when you can sign up for the Scoro free trial here. A Scoro module lets you allocate billable and non-billable work and monitor budgets. You can configure projects to easily manage your portfolio using tags and statuses. Since it is a work management software, it also boasts other features for streamlining your team’s tasks. Price starts at $22 monthly for every user. Cloud-based project management solution ReQtest is designed for software development and implementation teams, helping them in test and requirement management and bug tracking. It easily puts all your software development tasks under a single system. The system makes requirement organization, review and prioritization relatively simple for your teams. Bug tracking is also easier as the system comes with data visualization while improving tester productivity by providing valuable insights. Using ReQtest, you can easily set up, initialize and follow up on test planning. In case bugs are detected, the same can be moved to JIRA, with which the tools are fully-synchronized. Unlike other platforms, the tool takes a holistic view of the progress and status by giving you a clear picture of your test processes, link requirements and bug reports. This way, you get to have absolute control over your projects. It also helps you determine bottlenecks while being able to address tasks that are pending. But these are just the tip of the iceberg, there are more ReQtest benefits that you can experience firsthand by trying the software. An appealing test drive of all software features is available to you when you sign up for a ReQtest free trial here. A powerful field service management tool, Service Fusion is built to help businesses save time by automating workflow, creation of work order and estimates, a QuickBooks integration and drag-and-drop scheduling and dispatch. It is a mobile-optimized app that sees to it that your field people are always in the loop by keeping them connected to both customers and dispatchers. This allows staff to access both customers and orders in real-time. You can easily sign up for a Service Fusion free demo here and get to know the features firsthand at no cost and without commitment. Another one of Service Fusion features worth noting is that it has online booking tools that help your clients transact with you more easily, improving customer satisfaction. It also reduces costs by streamlining your processes by integrating payments, scheduling and reporting. Collaboration is supported by enhancing team communication, which also minimizes errors. Learning how to use the platform also takes very little time, given its intuitive design, eliminating the need for extensive technical knowledge on the part of users. Web-based project management software Project Insight offers enterprise-grade features to project teams of all types and sizes. Its rich feature set and intuitive interface make the software popular among businesses. It acts as a central platform from which you can track productivity, assign tasks and collaborate with all project team members. This results in fast and streamlined processes that comply with high standards of quality. The system focuses on critical tasks like collaboration, project prioritization and resource allocation, allowing you to come up with data-driven decisions. With Project Insight, all the project management tools that you need are always within your reach. These include resource management, reporting, centralized databases, expense and time tracking and intelligent scheduling. In case the need arises, you can even import or export files from your own system, eliminating the need for manual data entry. And because Project Insight is a web-based tool, it can be accessed anywhere at any given time using popular browsers. You can avail yourself of the free Project Insight plan if you only need its basic features. If you want to investigate the features closely you can easily do so when you sign up for a Project Insight free trial here. Designed to manage schedules for project teams, Resource Guru helps you meet deadlines by making sure that work gets accomplished on time. It essentially serves as a calendar for project teams that helps you get rid of problems associated with schedules while allowing you to efficiently manage team assignments, equipment and resources. It facilitates team scheduling and aids in project planning and date collaboration. By providing you with a clear view of your operations, the tool optimizes the use of manpower, resources, time and schedules. Resource Guru takes all tasks, projects, meetings and clients in a single location, providing you with a snapshot of all assignments and even project progress. What’s even better is that it helps you streamline relationships with your clients while being able to manage contacts efficiently. It comes with an open API that enables it to seamlessly integrate with third-party applications, along with webhooks so that you can connect with any existing system. Such Resource Guru integrations further contribute to the solution’s features. You can use all the features for free for a period of time to see if the software matches your needs. Simply sign up for a Resource Guru free trial here. Cloud-deployed project management software Hive is designed for project teams of varying sizes. It comes with numerous features such as task management and file sharing that are bound to make project management much easier. The solution’s benefits are anchored on its ability to create tasks, classify them and assign the same to any project team member. Included in tasks are due dates, attached files and tags. It allows you to make changes in project variables and track project status so that you and your team are always on the same page. What’s nifty about the system is that it comes with three dashboards, that provides you with a bird’s eye view of the productivity of your project team. They help you determine areas that need improvement by generating personal workspace productivity reports. The solution notifies team members of productivity problems so that they can quickly be resolved while time tracking and estimation are also managed by the app. Hive can integrate with popular third-party solutions, enabling users to work on critical tasks. The vendor has an appealing free trial where you can tinker with the features at no cost. You can sign up for the Hive free trial here. Dynamic, agile teams are suited for Zoho Sprints for tracking and planning projects. This tool is developed to have a simple and clutter-free interface so users can focus on developing products successfully. It is designed for teams to move swiftly that’s why it has features like backlogs, progress tracking, logging billable and non-billable hours, analytics and dashboard so you can easily oversee the project. You can easily sign up for a Zoho Sprints free trial here. As for Zoho Sprint pricing, it has user-based pricing and they even offer a free plan for 5 projects with 5 users. Bigger teams can choose from $20 per month with a limit of 20 users. If the team has more members, Zoho Sprints also has a $3 per user per month package. All premium plans accommodate unlimited projects. Team messaging and collaboration tool Vabotu is ideal for project teams, helping users improve project management. This tool is packed with features like task boards, instant messaging and design feedback, which can all be accessed from a single dashboard. It helps you cut costs, boost team efficiency and save valuable time by accelerating your processes. Design teams can greatly benefit from the solution as it eliminates the need to invest in multiple software just to be able to collaborate better. Among other Vabotu features, the tool allows you to give and receive feedback, simplifying the way you collaborate. All it takes is to make a comment on a file that is directly shared. This results in everyone getting informed and projects staying on course. It also has an easily accessible media hub that lets all team members to exchange and share information across different workspaces. You can easily sign up for a Vabotu free trial here and get to know the features firsthand at no cost and without commitment. Project management software Flowmotor is an easy-to-use tool that helps you plan and execute business strategies and even forecast growth–all in real-time. It is suited to any business size and type, helping agile teams easily meet business goals. The system makes use of taskboards, dashboards, health scoring algorithms and job scorecards to help you accomplish your objectives. Business priorities, goals and performance metrics are also defined by the solution, making it easier to come up with strategies. Flowmotor is very handy in managing your tasks as it lets you break them down into smaller ones and assign them to anyone in your team. This feature makes team members more accountable for their tasks. Task progress can be monitored, ensuring that every task gets completed on time. Another thing to love about the software is that it plays well with other systems. Custom metadata solutions, customer-specific UIs and configurable workflows come with the platform, which is also designed to integrate with third-party apps. The vendor offers a comprehensive free trial to get you up to speed with the features. You can sign up for the Flowmotor free trial here. Intervals is basically task and time management software rolled into one. It is specifically targeted at small- to medium-sized businesses, providing them with an inexpensive tool with which to manage projects, assign tasks and monitor team productivity. It is an all-in-one platform, eliminating the need to use multiple solutions in managing varied areas of projects. The Intervals time tracking feature uses time monitoring to help you determine billable hours. This results in increased profits as the system takes note of all productive hours. Intervals also comes with analytics and client management functionalities, which enable you to streamline your business processes. The vendor likewise offers impeccable support to all their clients. Should you want to investigate the platform firsthand, you can easily do so when you can sign up for the Intervals free trial here. Web-based collaboration app Smartsheet was developed to help businesses in project and task management, sales pipeline monitoring and crowdsourcing, to name a few. It is as easy to use as a spreadsheet, only more powerful. It comes with impressive features which include visual timeline management, discussions, file sharing and automated workflow. The Smartsheet interface sports a spreadsheet-like feel makes it a familiar tool for many users who can easily adapt to the system. The solution can manage many processes such as core business operations, projects and programs. Smartsheet’s power rests on its ability to manage project planning, automation, tracking and reporting. It changes the way project teams go about collaborating with one another, helping them work on tasks like marketing campaigns, operations management and event planning. The platform promotes better productivity and agility by improving collaboration. Decision-making is also made more accurate and faster through insights provided by reports generated by the system. For small businesses, buying project management software can be tricky, with budgetary limitations and indecision often causing delays if not total scrapping of the purchasing plan. Before shopping for a system, you must first be absolutely sure that you really need one. Keep in mind that these products are designed for projects with specific starting and completion dates. For routine jobs, you’re better off with business process management software. Another thing you should consider is what you need from a project management tool. Unlike enterprise project management software, small business solutions won’t have extensive features. Try to identify your project management problems and see what solution will resolve them. And then there is the issue of implementation, go for reputable vendors and consult the right people on implementation planning. Assuming you have accomplished all these, it is always good practice to go for free trials as they will allow you to experience a platform’s features first hand. And we’re just about done. In your quest for a project management software for your business, you can consult our list as a guide. You might find our top tool Wrike appealing and take advantage of the features and benefits that it has to offer. If you want to take the app for a spin, sign up for the Wrike free trial here. Very Nice article!I have used two from the five management software which you have mentioned, Asana and Wrike, and both of them were pretty great! First of all, Asana offered to my company free consultation which is something good for small sized companies like the one I’m working but what made me change software was that I couldn’t export data and that there was no privacy in projects and teams, which triggered some issues in my company. On the other hand, I used wrike for a few months but the fact that I couldn’t write reports and use workflows, which I was using in Asana, drove me again to search for a different software.Although, I have to admit that wrike file sharing was very useful! At the moment I’m using Comidor which is very good and easy in use.I can write reports, share files, export data and collaborate easily with my colleagues.As far as privacy it can not compare with Asana’s which as I said before caused me some problems. I will take your suggestions into consideration and especially trello, but I think it’s too simple and does not provide everything I want.